Misty Burdette was dying. Her breast cancer had gone into remission for eight years but then returned with a vengeance. By the time doctors realized the cancer was back, it had grown to stage 4. It was so painful that one night, Burdette cried out to God to either take her life or take away her pain. So the Holy Spirit did a miracle—the kind that forces doctors to admit there's a higher power. Misty's incredible healing fascinated me so much that I interviewed her and her pastor, Brad Smith of Woodward First Assembly. Brad has been my friend for several years and was actually the one who told me about Misty's testimony. The reason her story is so exciting is that most healing miracles only have someone's word to back it up, but hospital records documented Misty's healing from beginning to end. Misty first discovered she had cancer back in 2007. She was only 32 years old. "I was probably one of the youngest to get this type of breast cancer," Misty tells me. "My doctor said the cancer I particularly had was more of an older-woman cancer. So I was devastated. ... It sucked everything out of me." Thankfully, Misty got treatment—eight rounds of chemo, a double mastectomy and two reconstructive surgeries—and her cancer went into remission. But then in 2014, Misty started struggling off and on with a nasty cough. When it hadn't left by 2015, doctors did a CT scan and discovered multiple malignant tumors in both her lungs. Her oncologist shortly afterward confirmed she had stage 4 breast cancer. It wasn't long until the doctors realized it had spread to her lungs, bones and even pelvis. To Misty, it felt like a death sentence. "I got rattled a little bit about why I got rediagnosed with cancer," Misty says. "In the midst of it, God showed me that it wasn't He who allowed it; it was something I needed to work on and get stronger in my faith." But then, about a year ago, Brad met Misty and learned about the cancer she was battling. Brad had been healed of a mass on his left kidney, so Misty asked him and his wife, Blonnie, to pray for her and counsel her through the Scriptures. But life completely changed for Misty when she attended one of Brad's Thanksgiving services. That particular morning, Brad tells me, he was teaching about being thankful and "there was such a sweet presence of the Holy Spirit." While he was teaching, spontaneous worship broke out in the area of the congregation where Misty normally sat. It was Misty praising God for every blessing in her life. Instead of complaining about her cancer, she decided it was time to simply thank Jesus. "Something inside me quickened me," she says. "I just looked up—I had my hands raised—and I just looked up toward heaven and I just said, 'Thank You for my healing today.' And as soon as I spoke it, the Holy Spirit hit me. ... And I was jumping and speaking in tongues. The Holy Spirit took over my body. And it was just a sweet presence. And from that moment on, I felt my body change." Soon after, Misty went to the hospital for her next PET scan. But where the readings once lit up like a Christmas tree, they now showed no signs of cancer! The doctor looked over the results again and again—and even called in a colleague to confirm what he was seeing. The only thing the scan showed was a small scar on Misty's right lung—but no cancer. Even her bones were healing. The doctors, of course, were amazed at what God did. When they asked Misty what she was doing differently to result in her healing, she simply told them she had faith in God. "[The doctor] told me, 'Yes you were right,'" she says. "'I totally believe this [result] is from a higher power. ... I believe Jesus healed you.'" The Assemblies of God documented Misty's story on their news outlet, and people are responding. The article had over 150,000 views on Feb. 20, and I'm sure that by now the number is much higher. Click here to read the article. You can check out Woodward First Assembly on Facebook and at woodwardfirstag.org, and you can reach out to Misty through her Facebook page. "If [God] can heal me, He can heal anybody," Misty says. Brad agrees and tells me, "Our hope is just that people find Christ, because that's the most important thing—but also to know that He cares for our temporal needs. ... One-third of Jesus' ministry was healing the sick. We believe He is a compassionate Savior." Misty's story resonates with me particularly because I had stage 1 cancer several years ago, and I believe God healed me. If Misty's testimony encourages you, listen to my entire interview with her and Brad below. 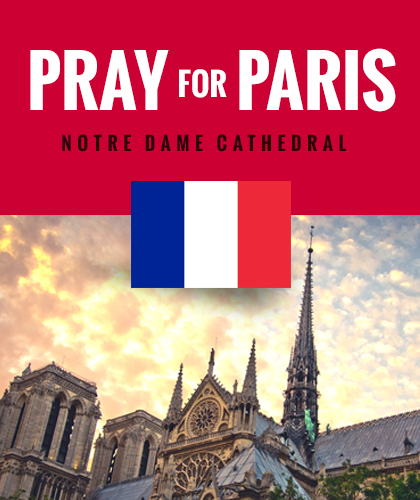 And if you or someone you know needs faith for healing, be sure to share this article on your social media. 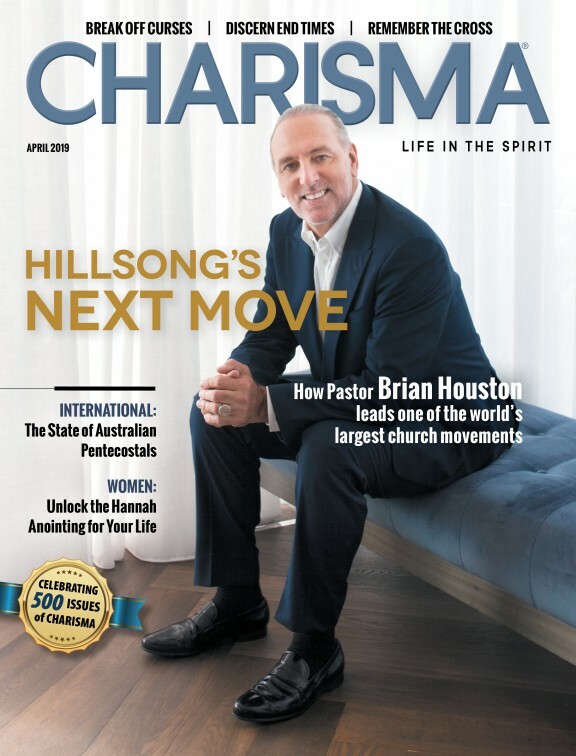 And lastly, be sure to take advantage of our limited-time offer to buy two years of Charisma magazine for the price of one year. No matter how much digital grows, people continue to ask for our print magazine. Just visit charismamag.com/two for this special offer.